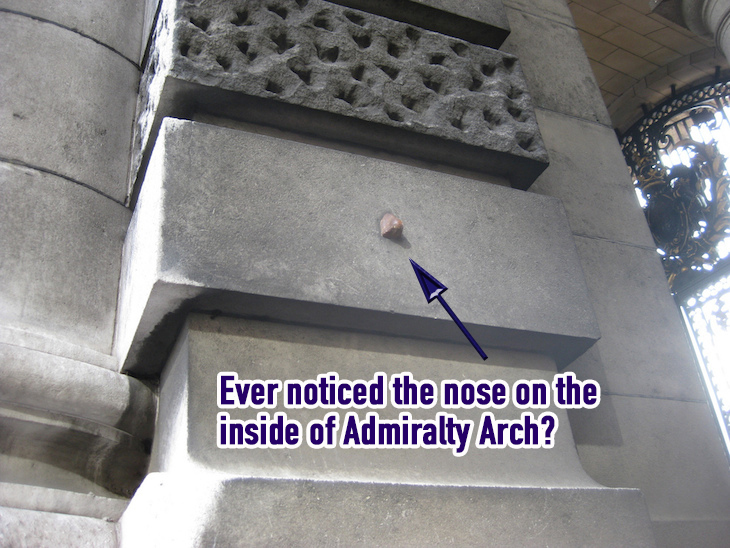 One of several noses gracing the walls of London's buildings. More info here. For connoisseurs of such things, another style of urine deflector can be found in Cliffords Inn Passage, off Fleet Street. 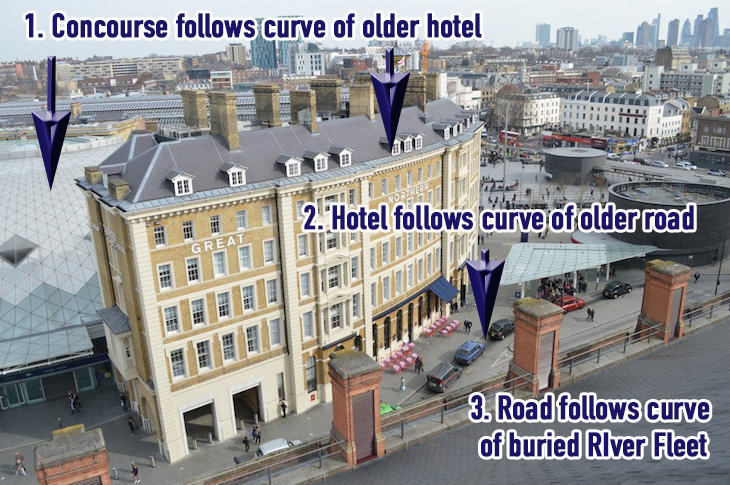 The shape of the newish concourse at King's Cross was ultimately decided by the course of a long-buried river. More here. 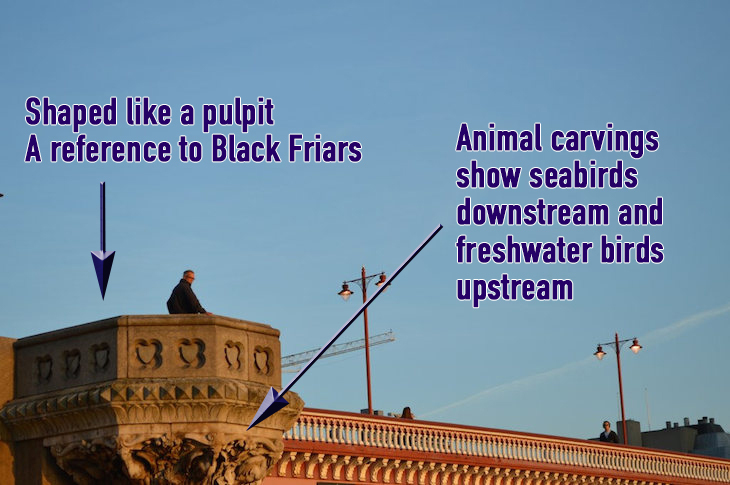 Look at the stone carvings next time you're on Blackfriars Bridge. The side that points toward the sea has wildlife usually found in maritime environments, while the side facing upriver has freshwater animals. 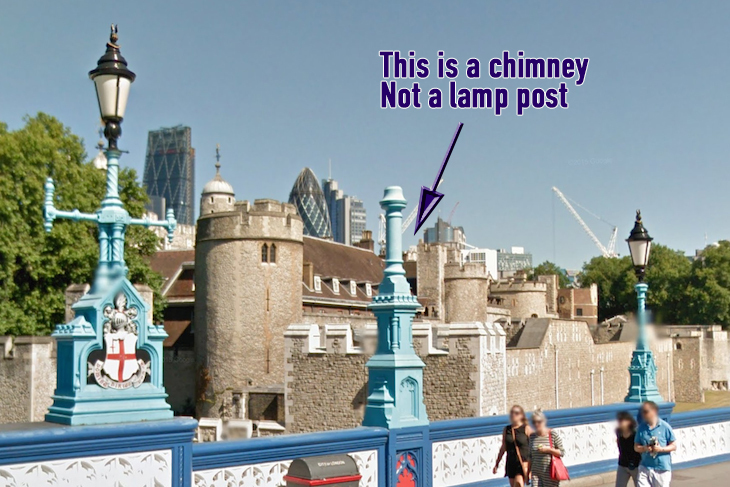 This chimney on Tower Bridge connects up to an old fireplace in a guardroom of the Tower of London. It is long-disused. The benches can be found on the upper floor near the Kent platforms, and outside to the north-east of the station. 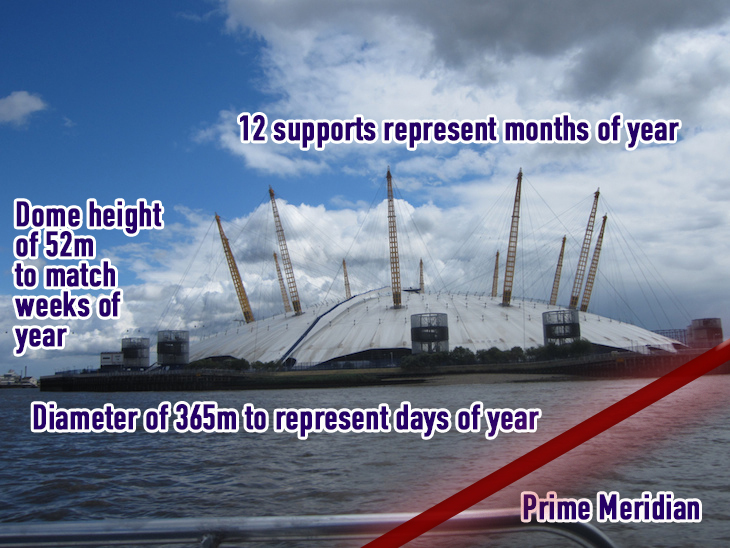 The O2, formerly the Millennium Dome, has numerous references to time built into its dimensions. 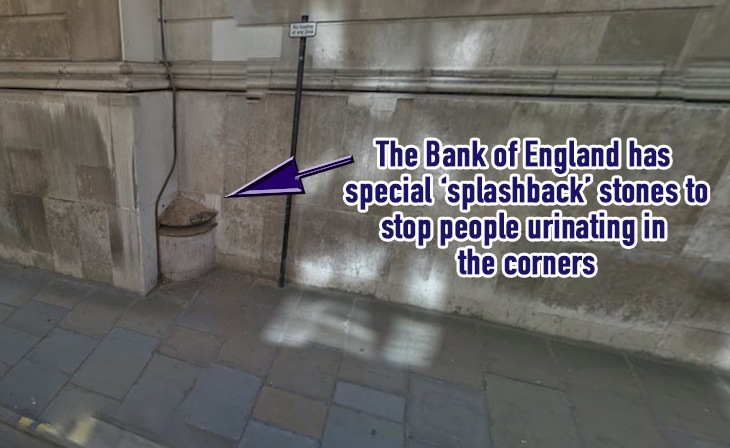 A Google Streetview pic from Whitehall. 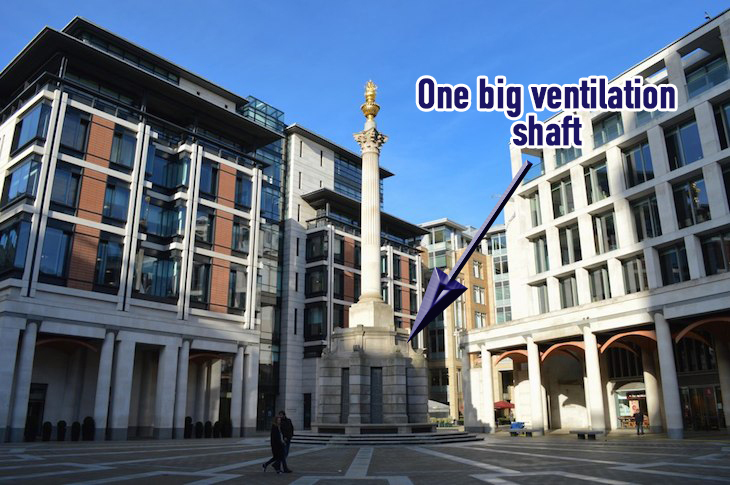 Paternoster Square's centrepiece conceals a ventilation shaft for an underground service road. 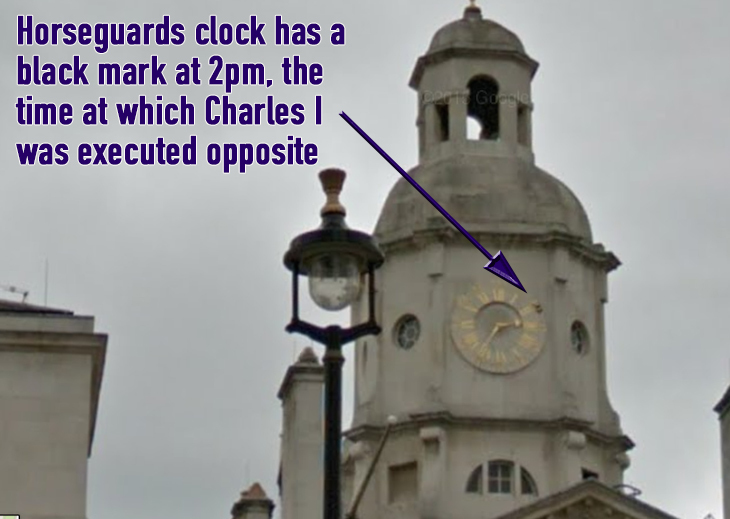 More on London's secret shafts here. The story goes that John Cleese paid for the stone, and mischievously insisted on mis-spelling Michael Palin's name. Hilarious. 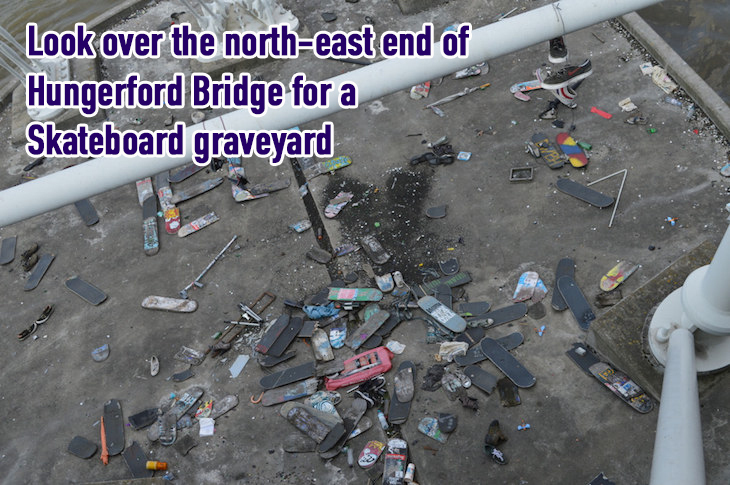 Broken skateboards from the nearby skate park at the Southbank Centre are cast onto this pier.